� In the mid-eighties, Alan Moore and Dave Gibbons created WATCHMEN, changing the course of comics' history and essentially remaking how popular culture perceived the genre. Popularly cited as the point where comics came of age, WATCHMEN's sophisticated take on superheroes has been universally acclaimed for its psychological depth and realism. Now, DC collects this series in the popular Deluxe Edition format. � Includes sketches, bonus material and a new introduction by artist Dave Gibbons. 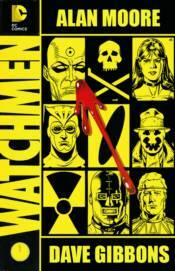 � Collects WATCHMEN #1-12.